If you’re looking to add color and excitement to your fish tank, look no further than the African Cichlid. This diverse species of fish includes multiple sub-types, like the peacock cichlid, all of which are colorful and easy to care for. Ready to get started? 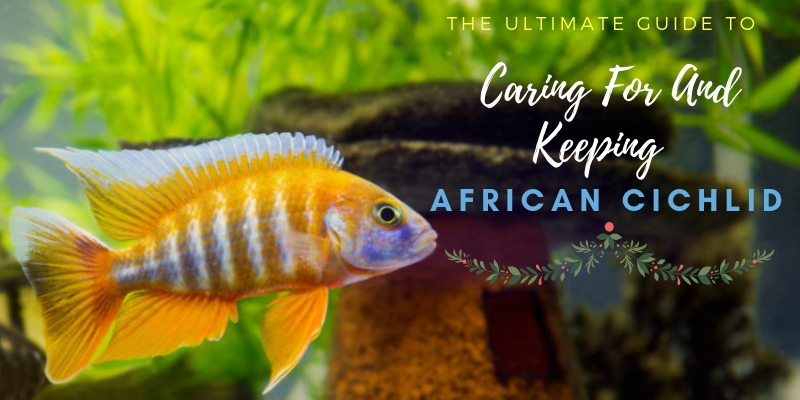 Consider our ultimate African Cichlid care guide to help you begin your large aquarium community today. What Do African Cichlids Eat? 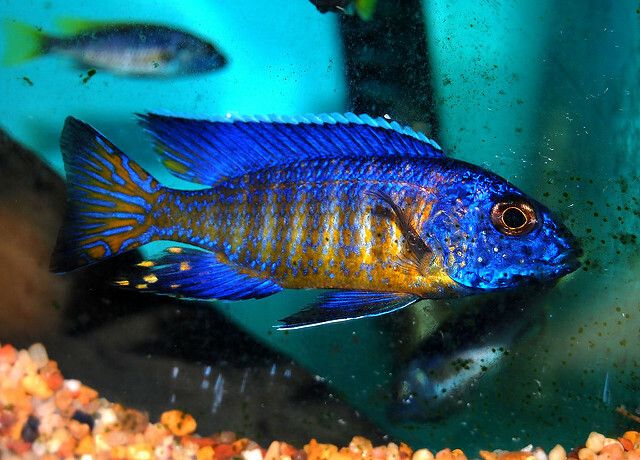 Is an African Cichlid Right For You? African Cichlids belong to the Cichlidae family, which is one of the most diverse groups of fish. There are well over 1500 species, many of which have yet to be discovered. These fish are found in Africa as well as South America. In Africa, most African cichlids live in one of the three great lakes of the eastern portion of the continent. Although most species found in home aquariums are found naturally in Lake Malawi, others are found in Lake Victoria and Lake Tanganyika. Most African cichlids live for around four to ten years. In nature, their colors determine dominance within and among species, where brighter fish are more dominant and paler fish are more submissive. These fish can grow up to three to eight inches in size. When first starting off as fry, these fish don’t look like anything special. They can take up to a year to show off their true colors, and the brightest colors will only show when they are healthy and vivacious. During times of mating or shows of aggression, their colors will actually get brighter. Males tend to be much more colorful than females. This is because the males need a way to attract the females during breeding periods. Females may also exhibit coloration, but their shades tend to be lighter and their patterns less noticeable. Cichlids have teeth, with each subtype varying depending on their diet. While some have small rows of teeth designed to scrape algae off rocks, others have fang-like teeth used to trap and eat small fish. These fish regenerate their teeth about once every hundred days or so. This allows them to produce new teeth to replace those that were lost or damaged. 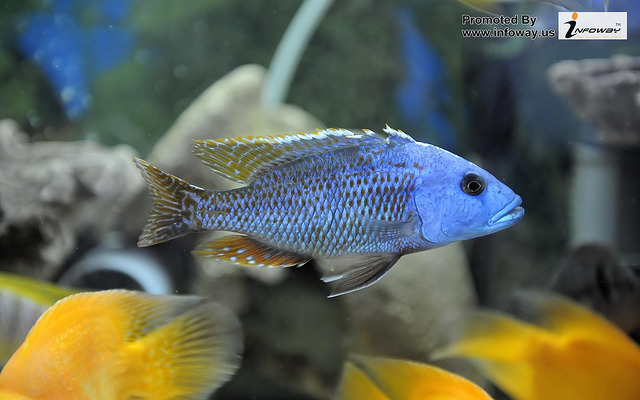 Ss a result, some African cichlids will bite, so you need to pay attention to the type you are raising to avoid the potential for any injury. There are hundreds of types of African cichlids, each with unique behaviors and appearances. 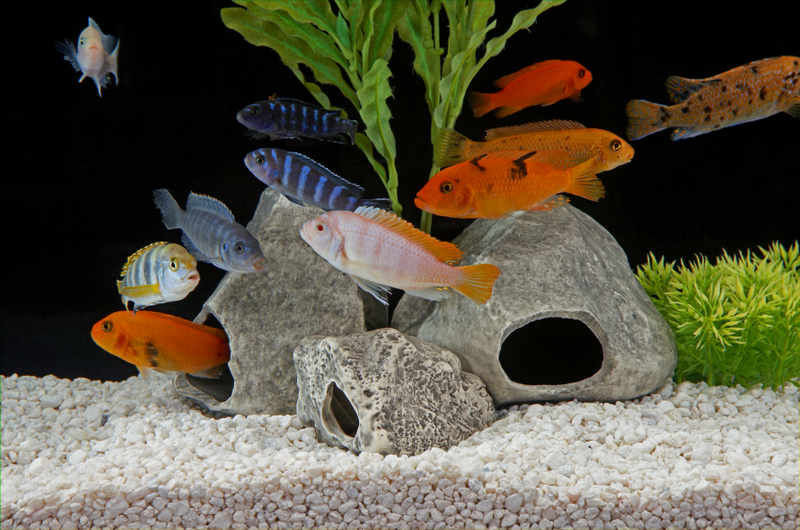 These are some of the most common types of cichlids raised in home aquariums. The Orange Zebra Cichlid is found in Lake Malawi, and comes in a vivid orange hue. Their fins often have black tips, but all of these fish have rounded heads and the ability to grow to well over five inches. These fish are highly aggressive, so they need to be kept by experienced aquarium hobbyists only. In addition, you will need to make sure you keep them in a larger tank. They don’t grow very large, but housing Orange Zebra Cichlids in a larger tank can help to reduce their aggressive behaviors. The African butterfly cichlid is found naturally in the rivers of Liberia, Sierra Leone, and Guinea. These fish grow up to three inches in length and have black stripes that run down the length of their bodies. They also have horizontal rows of spots, usually in blue or green shades. This type of African cichlid is one of the easiest to raise for first-time cichlid keepers. It has a peaceful temperament and is easy to breed. 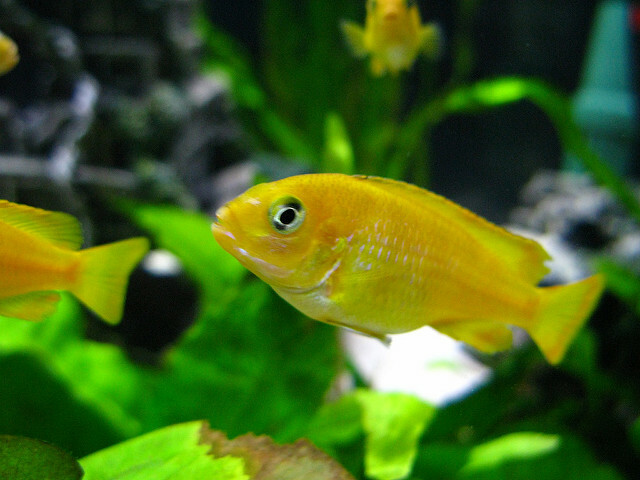 The Yellow African is another popular type of cichlid. It is a vibrant yellow in color, with dorsal fins that span the full length of their bodies. Fully grown adults will grow to just over three inches in length. 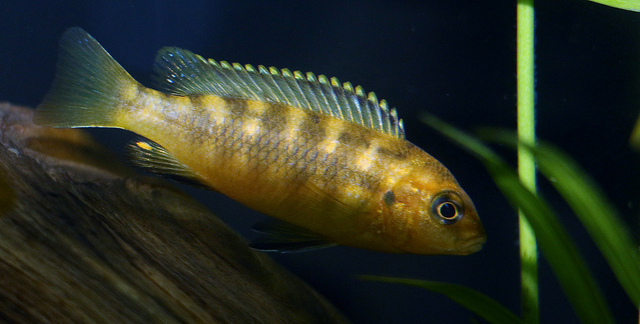 Native to Lake Malawi, this smaller type of cichlid is less aggressive than other types, making it easier to raise with other species of fish. 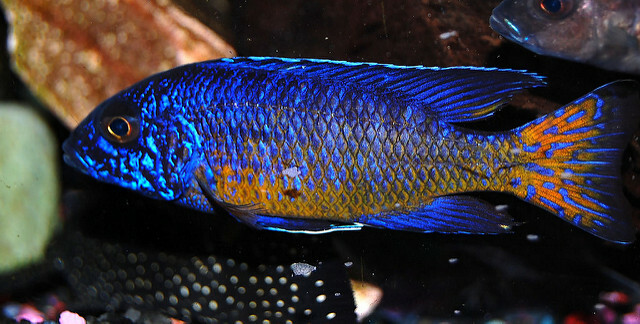 The African peacock cichlid is also found naturally in Lake Malawi, and includes twenty-two different species of fish. This fish displays a range of bright colors much like a peacock’s tail, with males displaying significantly more color than the females. These fish grow to about four to six inches in length. This is the most colorful type of cichlid, but they can be aggressive. Make sure you do your research if you plan on introducing an African peacock cichlid to a preexisting tank. African cichlids are very active fish. When they sense movement outside of the tank, they have a tendency to follow it. They do this in anticipation of being fed. You might think that you are not feeding your African cichlids enough if you see them doing this. However, don’t let this behavior trick you. They will eat more than what they need to eat, but this can cause them to become sick. African cichlids are active swimmers and will, given the opportunity, even jump out of the tank. They usually won’t do this unless they are startled or provoked, but you should include a cover on your tank just in case. These fish are known for their aggression, behaving in a downright territorial manner particularly when they are mating. This can cause other fish to be killed, so you will need to include plenty of hiding spaces for your other fish inside the tank. This will give all of your fish places to escape as well as territory that they can claim as their own. African cichlids will dig in the substrate in the tank, a natural behavior that they use to scavenge and hunt for prey. Some types of cichlids will even burrow into the sediment and play dead so that they can lay in wait for prey. To make sure your cichlids don’t dig up your decorations, consider securing everything safely in the substrate. In the wild, African cichlids are rock dwellers, preferring to hide in the little spaces between rocks. You should recreate this environment in your aquarium by included a fine-grained substrate. This will allow them to dig without damaging or scratching their scales. You should also use securely placed rocks so that they don’t collapse. You should purchase a tank that is at least thirty gallons in size (ideally more if you are keeping multiple other fish). While small yellow cichlids will be content in a smaller thirty-gallon tank, the larger varieties of cichlids will need a fifty gallon tank in order to thrive. A larger tank is always recommended, as it will reduce aggression and promote overall tank health. Pay attention to the number of cichlids you have in your tank. Thirty gallons tends to be enough for one small cichlid, but you should add another three gallons for every cichlid that you add. Research your exact species, because some will grow quite large over time. Before deciding how you want to decorate the tank of your African cichlids, make sure you choose the right decorative items. Their behavior should be the determinant in how you decorate their tanks, as these active swimmers like to dig and move tank decor. They need places to hide, though, so evaluating your cichlids’ behavior is important in determining which tank decorations you will use. First, make sure you line the bottom of your tank with a good substrate. You can use aquarium pebbles or medium-sized stones, which will give them plenty of spaces to scavenge without damaging any of your filtration equipment or plants. Rocky substrates are other good alternatives, allowing you to imitate the rocky lake bottoms to which African cichlids are native. Purchase and use only aquarium-safe decor items. Any items that are small enough to swallow or can be dislodged from the bottom of the tank can injure your fish. Make sure the items are relatively heavy so you don’t have to worry about any injury. If you use rocks, make sure you clean them in warm water and a mild soap before introducing them to the tank. This will ensure optimal safety and reduced likelihood of disease inside your tank. If you use aquatic plants, select them carefully. Large cichlids can easily remove small plants and will do so almost immediately upon their introduction to the tank. You can use plants with sturdy, resilient stems, like ferns or sword plants. If you have smaller cichlids, you can add other, less sturdy plants, as well as those that are smaller, as you won’t have to worry about them being uprooted or disturbed. It’s also important that you provide plenty of spaces in which your cichlids can lay their eggs. Flat, smooth surfaces of rocks are ideal, as these will provide ample room for your cichlids to spawn. You can use aquarium silicone to secure rocks to the sides of the tank, which will help keep them in place. Providing plenty of hiding spots is key for decorating an African cichlid tank, as this will give your fish plenty of places to spawn as well as to hide. African cichlids in their native environment tend to live in fast-moving waters. As a result, you should keep the water in your aquarium moving at all times. The outlet from your filter should be enough to mimic the small current found in their environments. You could also add a water or air pump to create a stronger current, although this is not necessary unless your species of cichlid is native to a river or stream. Keep the temperature of the water between seventy-five- and eighty-five-degrees Fahrenheit. This will be close to the natural temperature of the cichlid’s native waters. Maintaining a pH of 7.8 to 8.6 will keep the species healthy, as will maintaining hard water of 4 to 6 dH. Africa’s lakes tend to have hard water, so having a tank with soft water is a definite mistake. These fish don’t have specific needs in regards to lighting, but you should try to avoid intense lighting as this can be overwhelming. Instead, focus more on the pH and temperature of your tank. They need water that is free from ammonia, meaning you must conduct regular water changes. Each week, you should remove some of the water in your tank (between ten and forty percent, depending on the health and condition of your tank) and replace it with fresh water. Use an algae magnet to scrape the walls of a tank and replace water that is completely free of chlorine and other chemicals. This will help ensure the long-term health of your African cichlid. You don’t need any special equipment to keep your tank up and running. However, make sure you have a filter and heater that are strong enough to work in a larger sized tank. Your filter must be big enough to process all of the water in the tank three to five times in one hour. Because African cichlids tend to dig, you should avoid using an under-gravel filter. These filters need a larger-grain size of substrate and will constantly be exposed as your cichlids dig. Instead, use an external filter to help prevent damages caused by digging. In the wild, African cichlids have diverse diets, eating everything from plants to insects to meat. 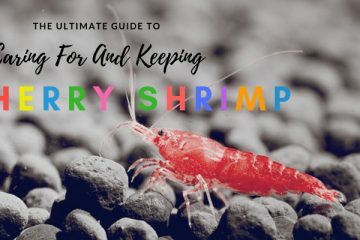 While these fish will eat both plants and meats in the aquarium, you should make sure you include many different food sources to help them maintain healthy functioning. The exact type of food you should feed your cichlid will vary depending on the subtype of cichlid. For example, peacock cichlids are insectivores. They will prefer to eat insects. Others are herbivorous, mostly eating plants and algae. Others, like the African butterfly, will eat small fish. You need to know the exact needs of your cichlids before deciding what to feed them. In general, most African cichlids can be fed flake foods. 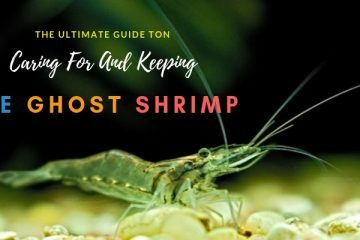 Along with these foods, you can add in your specific fish’s natural preferences, like frozen or live foods (such as fish, insects, and vegetables) along with algae wafers. If you have a cichlid that spends most of his time at the bottom of the tank, wafer or pellet foods are the way to go. These foods will encourage the cichlids’ natural behaviors of sorting through the substrate for food. You can also feed raw fruits or vegetables along with bloodworms to mix up your cichlids’ diets. Feed your African cichlids a varied diet, ideally two to three times a day. You should feed small quantities but may feed larger amounts if you are only able to feed once per day. Any food that is not eaten in thirty minutes should be removed. African cichlids are voracious eaters and are prone to overeating, but you need to avoid feeding them too much as this can cause health problems. In addition, leftover food particles can easily contaminate your tank. African cichlids are highly terrestrial. Be aware that if you raise any open-water swimmers, they are likely to be attacked by your cichlids at some point. If you plan on mixing your African cichlids with other fish, they will need to dwell in different regions of the tank. Otherwise, you run the risk of your other fish being constantly attacked. 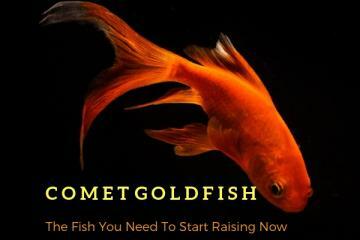 Consider raising bottom-dwelling fish. They will need to match the cichlids in size and aggression but are often able to hold their own against the cichlids’ aggressive behavior. Species like African catfish are good options, since they are relatively aggressive on their own and can also swim quite quickly. If you are raising small fish, know that there is a good chance that they will be viewed as prey by your African cichlids. Tiny fish like guppies or neon tetras are definite no-nos. You should also avoid mixing African cichlids with South American cichlids (like convict cichlids). Despite the similar names and biologies, these fish evolved in different areas of the world and as a result have vastly differing immune systems. They can easily make each other sick. Keeping multiple species of cichlids together in the same tank can also encourage fighting. If you have a larger tank, this risk is reduced, but you should still avoid keeping cichlids together if you want to avoid a fight. There are several species of fish with which African cichlids cohabitate well. 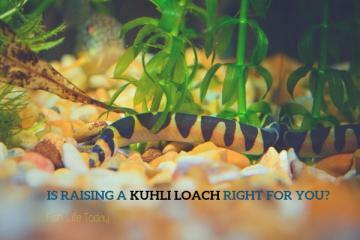 The clown loach, for example, is a semi-aggressive fish that can certainly hold its own against the territorial African cichlid. It likes to hide, so it will be quite happy in a tank that you have prepared with lots of caves and rocks for your cichlids. The red-tail shark is another good companion. Also a more aggressive species of fish, it prefers rocks and vegetation. It is incredibly beautiful, sporting a sleek black body and red tail, but it won’t back down when faced with the dominant behavior of an African cichlid. Other popular species include large rainbowfish, giant danios, African red-eyed tetras, plecos, and more. Plecos in particular make great companions for African cichlids, as they dwell on the bottom of your tank (where they are less likely to be disturbed by your cichlids) and will clean up most of the algae within your tank. 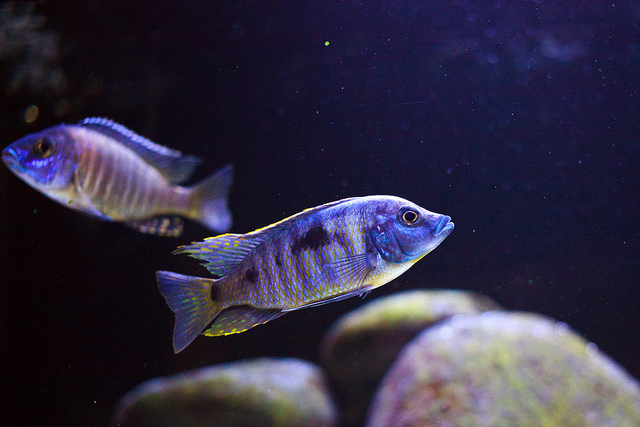 African cichlids are prone to the same kinds of diseases as many other aquarium fish species. These diseases can often be prevented by maintaining good water quality and limiting behaviors like overfeeding. Often, you will need to quarantine your fish if signs of disease begin to show. A healthy fish will have clear eyes, a strong appetite, and profound coloring. If you notice any symptoms like frayed or disintegrating fins, redness, white dots, poor swimming patterns, or lethargy, your fish may be coming down with some kind of an illness. 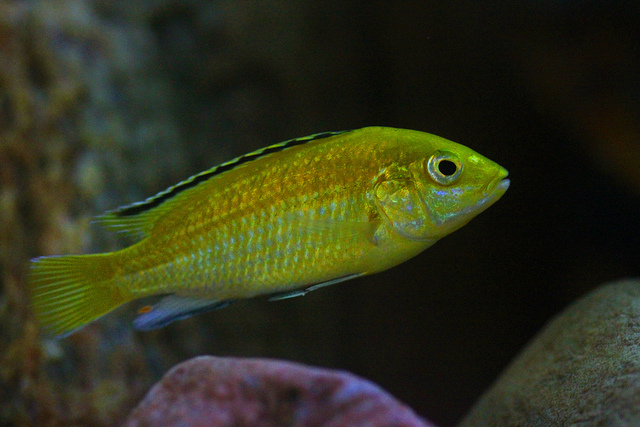 There are many diseases to which African cichlids – as well as other aquarium species – are prone. Cotton wool disease is a common disease that results in white growths all over your fish’s body. Caused by a fungus, this disease is encouraged by poor water conditions and can be treated by improving the water quality of your tank. Another common disease is ich, also known as white spot. This illness also creates white spots but is caused by a parasite. Gill flukes are flatworm parasites that cover your fish’s gills with slime. This can cause severe respiratory problems. 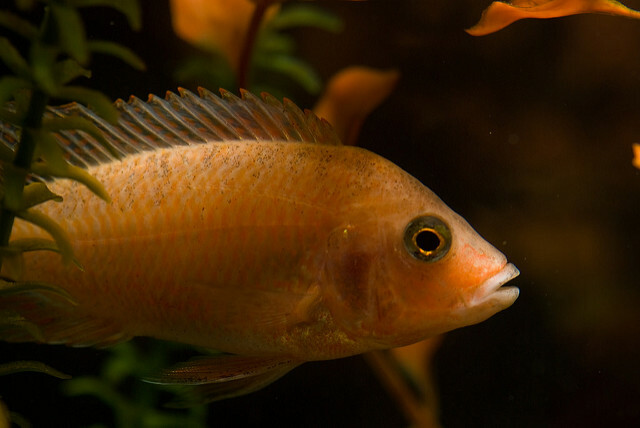 Hexamita, also caused by a parasite, is spread via poor water quality and results in a loss of appetite and lesions on your cichlids’ bodies. Your fish may also be prone to other diseases, like Malawi Bloat, Swim Bladder Disease, and Tuberculosis. These diseases can be caused by a range of factors, such as poor nutrition, injury, or viruses. Many are contagious and can be fatal, so being vigilant for changes in your fish’s behavior or appearance are vital so that you can keep them healthy for the long term. Malawi bloat, for example, is caused by a poor diet and diminishing water quality. 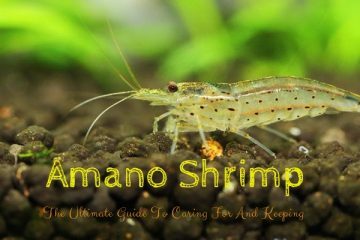 To get rid of this disease, you will need to complete a water change of fifty percent. The disease causes a bloated stomach and a lessened appetite. Swim bladder disease causes similar symptoms, but your fish will also struggle to maintain balance and will not swim in normal patterns. Cleaning your tank and performing partial water changes every one to two weeks can also help keep your fish healthy. This will remove waste products and purify the water. When you bring home new fish species to add to the tank, make sure you quarantine them first so that you don’t introduce new disease to the tank. Finally, pay attention to your African cichlids’ diets to maintain good health. A poor diet can cause damage to the fish’s internal organs, as can feeding too many protein-rich foods. Many species of African cichlids can breed in captivity. To attract a mate, the males will usually perform a courting ritual that involves precise, seemingly choreographed movements and a vivid display of colors. When you are trying to encourage breeding, make sure your tank’s environment stays static. Don’t add any new fish or decorations, and definitely don’t adjust the water quality, until the breeding has finished. Their breeding patterns vary depending on their specific type, but most will lay their eggs in the safety of a cave and will guard them until they hatch. Other rarer species are mouthbrooders, meaning they hold the fertilized eggs in their mouths until they are ready to hatch (which usually takes about twenty-one days). 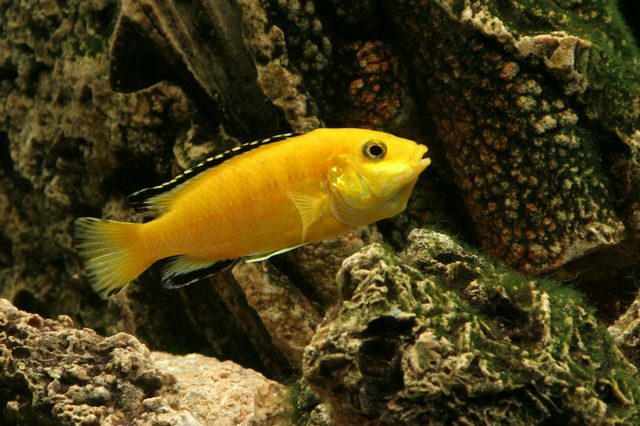 When the eggs hatch, a female cichlid will look after the young fry for about a week. After that, the fry will care for themselves and the female will begin to breed again. Most African cichlids are mature in about three months and can be bred within a year. This varies depending on the individual species and the particular fish, however. African cichlids possess strong parenting instincts and will become increasingly aggressive during times of breeding. That being said, they will sometimes eat their own fry. You should separate parents and fry using a breeding tank if you are trying to encourage breeding. In captivity, it is not uncommon for cichlids to cross-breed. If females are surrounded by fewer males of their own species, they will become less selective and engage in breeding with other types of cichlids. An African cichlid mother is very protective, and if her newborn fry are threatened by other fish, the mother will take the young back into her buccal cavity. She will release them over time. Males are also known to threaten females in the period immediately after they have been bred. You may need to move your female to a separate tank so that the fry can grow safely and the female can recover in peace. Depending on the exact species, these fish can live up to fifteen years in captivity. If you are looking for an exciting new addition to your aquarium, and don’t mind a little bit of extra work, African cichlids might be the right choice for you. These aggressive fish are fun to watch, filled with color and activity, and can brighten up any room. If you are an experienced fish keeper and are looking to branch out within your tank, consider raising African cichlids. 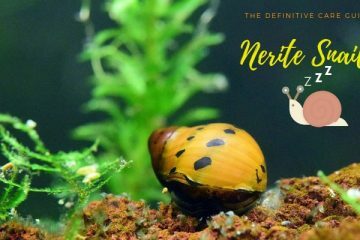 While they can be more difficult to care for and need very specific conditions, their unique personalities and vibrant colors can make them an excellent choice for a more advanced aquarium hobbyist.